Author’s goal? Fostering a desire to read! Lakehill Preparatory School students in kindergarten through eighth grade are in for a unique experience on Sept. 21, when award-winning author Josh Funk pays a special visit to the school. 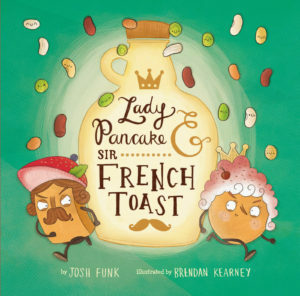 Funk is the author of several children’s picture books, including the Lady Pancake & Sir French Toast series, How to Code a Sandcastle, It’s Not Jack and the Beanstalk, and many more. Funk is no stranger to Lakehill. Last year, he spent time with first graders through a Skype interview. “The students absolutely loved hearing him read and learning more about the writing process,” said first grade teacher Laura Gigliotti. The Lower School book club enjoyed reading Lady Pancake & Sir French Toast in the spring and discussed how to handle a conflict with a friend, a theme of the story. Pike has several tie-in activities planned with Lower School students during their library time. 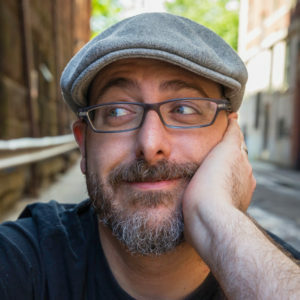 Funk will present a behind-the-scenes view of the book-writing process and lead Lower and Middle School students through a creative activity to spark their own imaginations. All parents are invited to attend this special event. Even the cafeteria will get into the spirit of the day, serving pancakes for lunch. Special thanks to Maria and Matthew Ordish for making this visit possible.